Don't have your snowboard go for a walk without you whilst on the slopes this season. 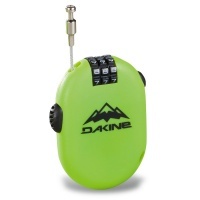 Secure it with this micro lock from Dakine. Small and easy to carry with a 3 digit code.